Literary Classics: Cross, by D.A. Roach earns the Literary Classics Seal of Approval. Cross, by D.A. Roach earns the Literary Classics Seal of Approval. Ray Cross has a genetic disorder which causes his body to be extremely fragile. He has understood this for most of his young life. But now, that’s the least of his worries. His parents hit him with a real bomb on his birthday when they reveal that they aren’t his biological parents. He is, in fact, the son of a king and has a twin brother whom he’s never heard of. And now this king’s dying wish is for Ray to come see him in a secret land hidden away in northern Canada. Author D.A. Roach’s Cross is a captivating young adult novel filled with adventure and suspense with each turn of the page. Ray Cross is an unlikely hero and as such readers can’t help but cheer for him as he faces the unknown in a new and often daunting land. 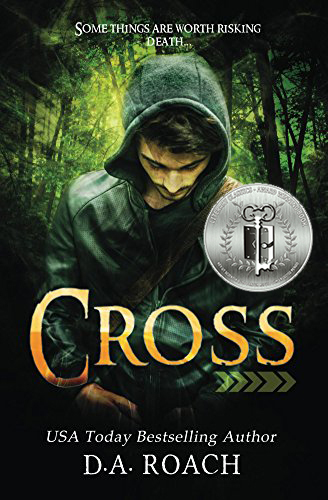 Recommended for home and school libraries, Cross has earned the Literary Classics Seal of Approval.